First of all I want to ensure all the readers that this really is just a name change and site redesign. I don’t want to go into the reasons for this change, but its something I felt I needed to do to continue to develop the site and grow what it has to offer. If I see you at a conference we can discuss over a beer. So moving forward I want to continue to educate, discuss and share the various topics covered around social engineering, such as body language, tonality, persuasion techniques, all those things that often go on under the radar (subliminal) and also talk about psychology and why us humans do what we do, and how we can defend ourselves. 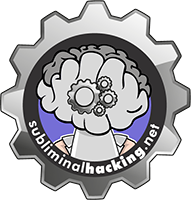 Thank you again for continuing to visit the site, please update your links and feeds, and also un-follow @headhacking on twitter and follow @subliminalhack . So I hope you like the new design, please feel free to leave comments.